105 L capacity tilting jacketed kettle with mixer. 130 L capacity tilting jacketed kettle with mixer. 180 L capacity tilting jacketed kettle with mixer. 242 L capacity tilting jacketed kettle with mixer. 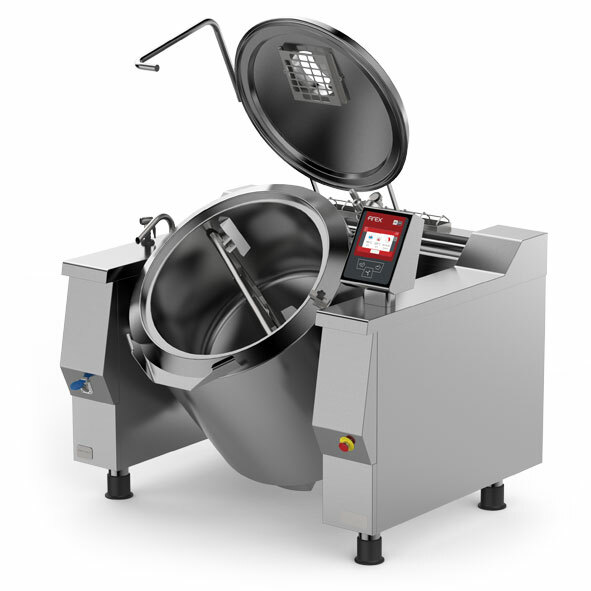 301 L capacity tilting jacketed kettle with mixer. 500 L capacity tilting jacketed kettle with mixer.